Einstein’s War is a riveting exploration of both the beauty of scientific creativity and enduring horrors of human nature. These two great forces battle in a story that culminates with a victory now a century old, the mind bending theory of general relativity. Few recognize how the Great War, the industrialized slaughter that bled Europe from 1914 to 1918, shaped Einstein’s life and work. While Einstein never held a rifle, he formulated general relativity blockaded in Berlin, literally starving. He lost 50 pounds in three months, unable to communicate with his most important colleagues. Some of those colleagues fought against rabid nationalism; others were busy inventing chemical warfare—being a scientist trapped you in the power plays of empire. Meanwhile, Einstein struggled to craft relativity and persuade the world that it was correct. This was, after all, the first complete revision of our conception of the universe since Isaac Newton, and its victory was far from sure. Scientists seeking to confirm Einstein’s ideas were arrested as spies. Technical journals were banned as enemy propaganda. Colleagues died in the trenches. Einstein was separated from his most crucial ally by barbed wire and U-boats. This ally was the Quaker astronomer and Cambridge don A.S. Eddington who would go on to convince the world of the truth of relativity and the greatness of Einstein. In May of 1919, when Europe was still in chaos from the war, Eddington led a globe-spanning expedition to catch a fleeting solar eclipse for a rare opportunity to confirm Einstein’s bold prediction that light has weight. It was the result of this expedition—the proof of relativity, as many saw it—that put Einstein on front pages around the world. 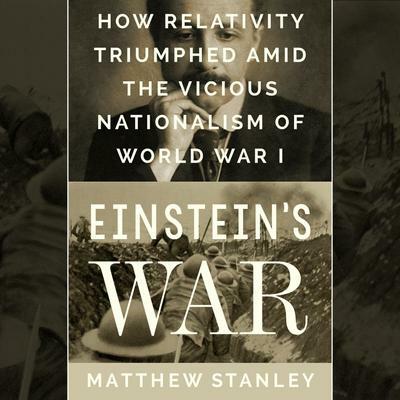 Matthew Stanley’s epic tale is a celebration of how bigotry and nationalism can be defeated, and of what science can offer when they are. *Includes a PDF with scientific and mathematical illustrations.